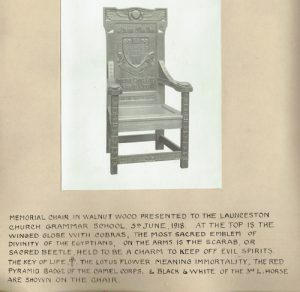 Headmaster’s memorial chair presented 1918, Launceston Church Grammar School . . Who was Nellie Payne? 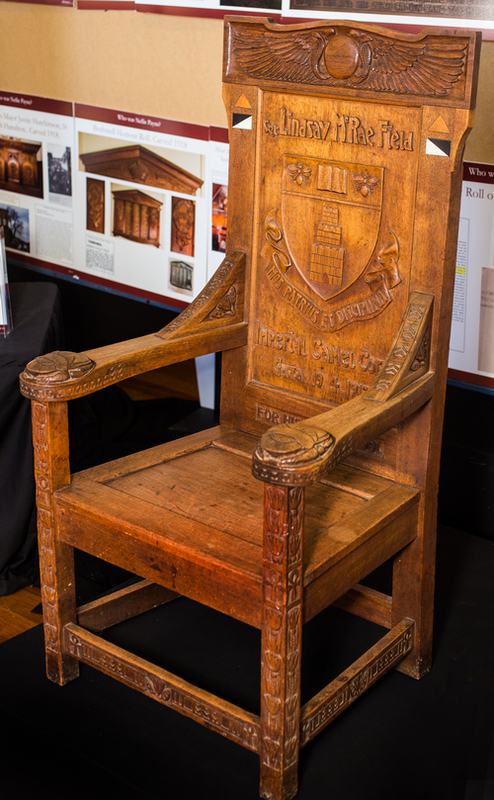 Home » Headmaster’s memorial chair presented 1918, Launceston Church Grammar School . 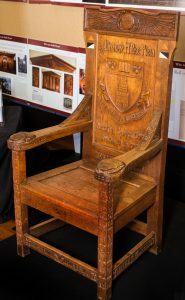 Headmaster’s memorial chair presented 1918, Launceston Church Grammar School . 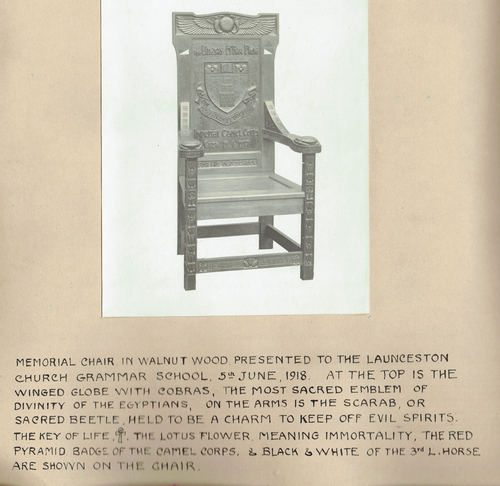 Memorial chair in walnut wood presented to the Launceston Church Grammar School 5th June 1918. At the top is the winged globe with Cobras, the most sacred emblem of divinity of the Egyptians, on the arms is the Scarab, or sacred beetle, held to be a charm to ward off evil spirits. The Key of Life, the Lotus Flower meaning immortality, the Red Pyramid badge of the Camel Corps and Black & White of the 3rd L.Horse are shown on the chair.